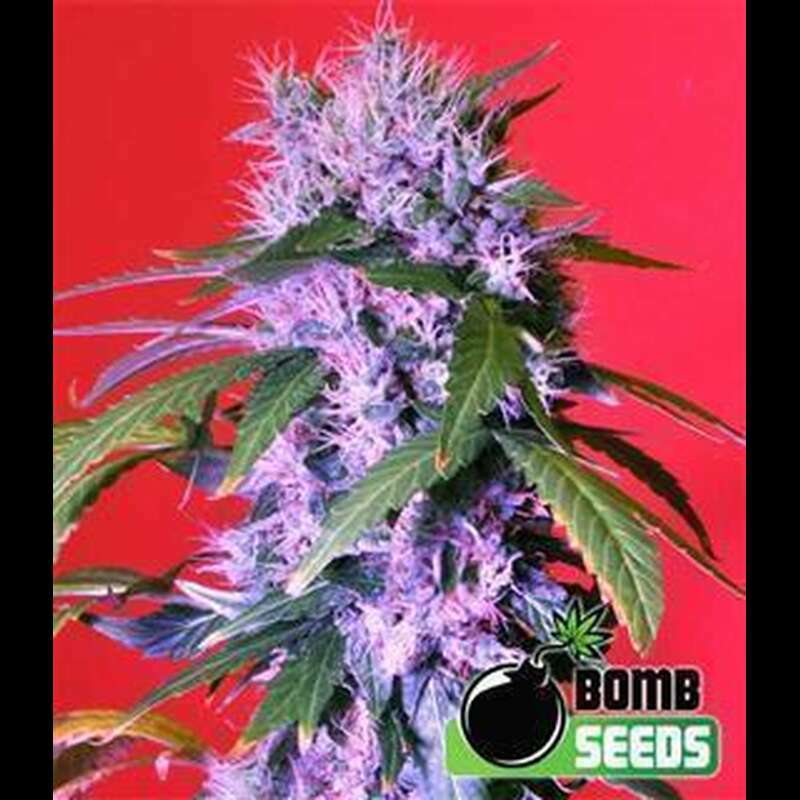 Berry Bomb is a special cross of a hand selected Blueberry mother with the all powerful Bomb #1 father. The result is outstanding; think Blueberry, but bigger yields, more THC and Bomb Seeds think that better taste too.The influence of their Bomb #1 strain gives Berry Bomb explosive growth while making the strain much easier to grow (both indoors and out) and easier to trim than the original. This strain produces a fat dominant single cola with large internodal distances and the characteristic explosive bomb upward growth. This is an excellent choice for SCROG. Indoors the plant will stay of medium height but outdoors this beauty can get huge. Like most purple/blue strains, Berry Bomb will turn blue under correct conditions (i.e. cooler, lower temperatures at night). It is considered to have good mould resistance. At harvest, buds are super frosty with a sweet berry perfume and taste. Delivering a classic indica effect with some sativa qualities thanks to the Blueberry mother, it won't lay you out for the count.